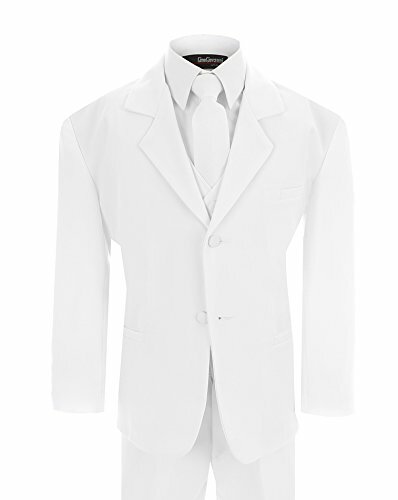 This complete suit is tailored trimmer than our popular classic fit tuxedo. 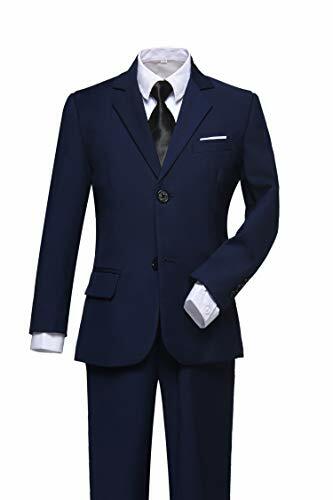 The suit has narrower lapel and slightly tapered waist, narrower through body and longer jacket length. The front upper pocket is sewn shut at delivery but can be opened to accomodate a hankerchief. Vest has adjustable strap at back. 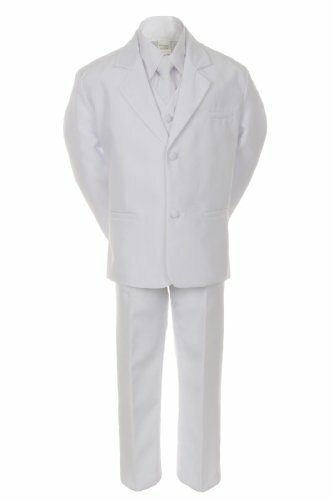 For size 2T-4T, pants has flat front and elastic back. 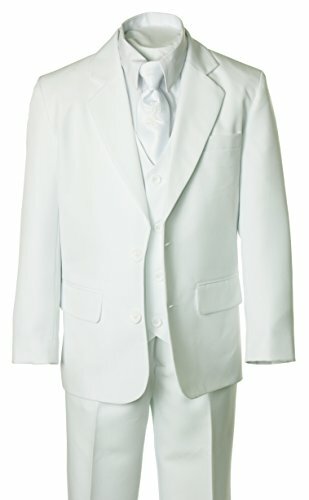 For size 5 to 20, pants has button zipper front and elastic sides. 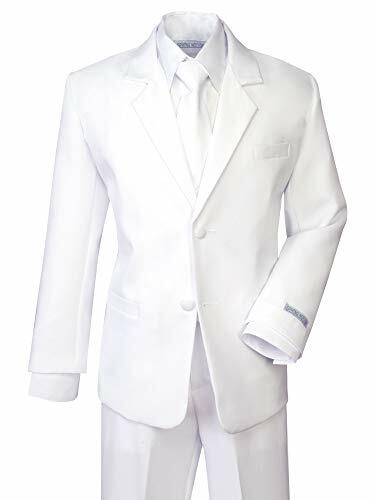 This suit is great for weddings, picture taking, musical recitals, baptisms, grandparents' gift to a grandson, graduation, parties, pageants, presentations, ring bearing, all kinds of formal occasions and special events. 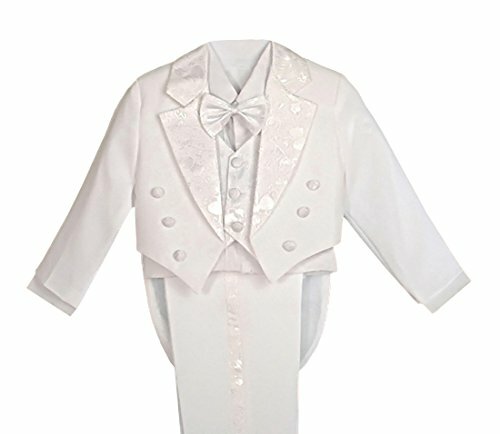 Your child will look absolutely adorable in this formal 5 piece! 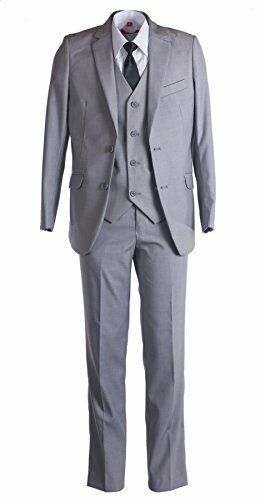 This boys' slim fitting light grey suit is a single breasted classic 2 button jacket with notch lapels, outer flaps for the lower pockets and the chest pocket is designed for a pocket square. The jacket has double vents in the back jacket. 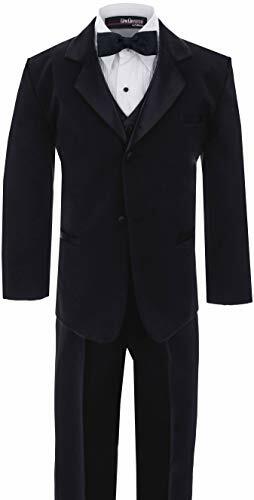 Trousers do have belt loops and are crafted with an enhanced waist band with sizing slides on bigger sizes whereas the smaller sizes have elastic sides. 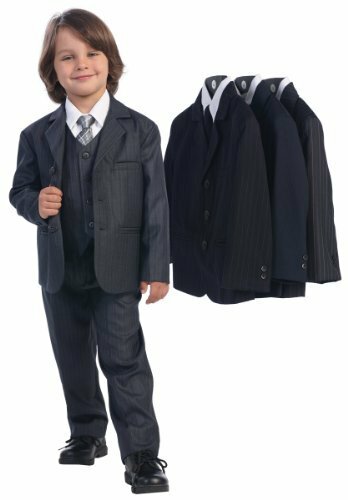 All sizes have a fly front for easier comfort. 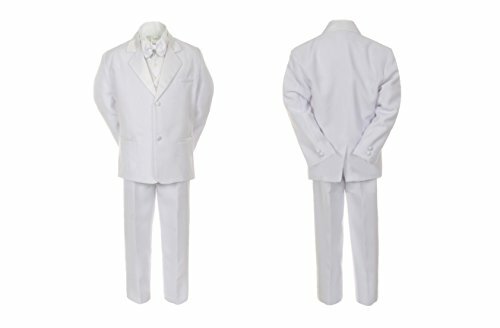 Trousers also feature an unfinished hemline which is designed for very easy hemming to get the perfect length. 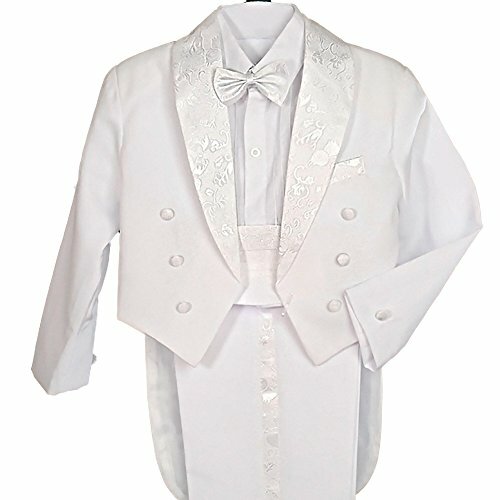 Included is a traditional long sleeve; lay-down collar shirt made of 35% cotton, 65% polyester fabric. 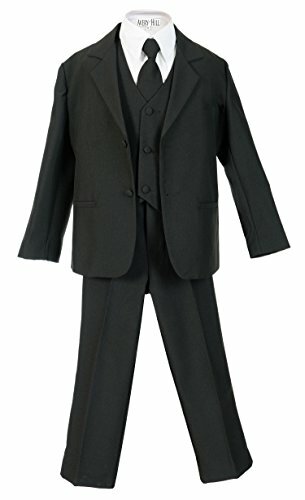 This beautiful tailored suit is in stock and ready to ship! 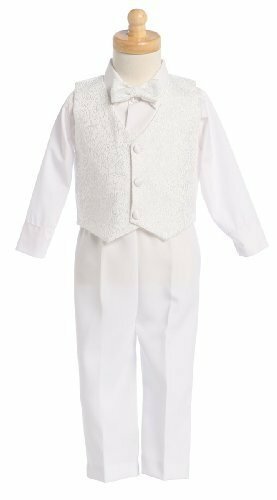 White boy's embroidered jaquard vest set. 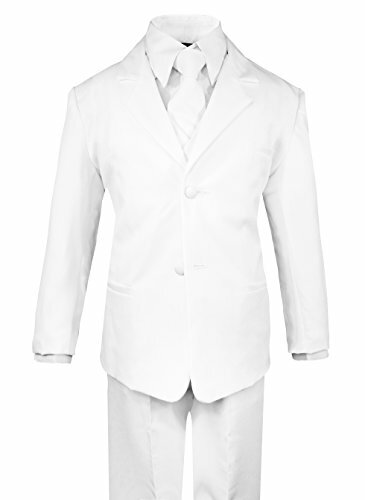 Includes shirt, tie, vest and slacks. 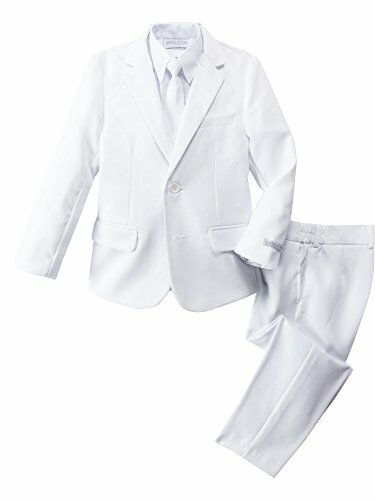 Perfect attire for Christening, Ring Bearer, or any other Special Occasion. Made in USA.